In computing system, one can unlock how things function and reuse the data to accomplish something by following reverse engineering method. This is applicable even for Android apps. 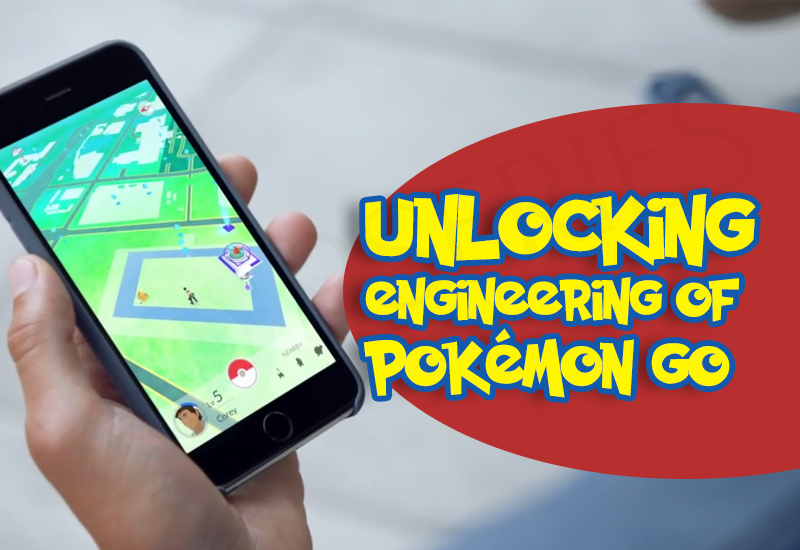 We are looking for the perfect app to do the reverse engineering and nothing far better than a Pokemon-go app, it took over the world in days and makes an impact on millions of people. This blog will mainly focus on how we extracted information from the Android app, in order to understand their technical methodologies. The code is not obfuscated, which makes attempts at reverse engineering much easier. We are able to rebuild a functional project and understood most of project flow. The first thing we need to do in order to reverse engineering is to have the APK file. It doesn’t seem difficult to find the Pokemon GO app apk from the internet. In our case, we have tested the APK of version 0.29.3, dated from July 20. The Manifest is just an Android Manifest of the application. It acts like an identity element and provides the name, icon, versions, permissions, device restriction and different components of the app. Whenever there is a need to update or install, it’s the entry point which system refer. Classes.dex is compiled with java source. You can actually have more than one (called as multidex), but it doesn’t really matter for our purposes. Lib is the folder containing the native libraries. Res and assets are direct matches for the resource and assets of the project. Resources.arsc is an android special file that makes the link among resources and code. A compiled version of R.java files of the project. META-INF is a folder containing a metadata and is of no interest to us. The dex extension stands for Dalvik Executable. This is an Android specific file format and is not very accessible. We can deal with the dex files in following two ways: The first one is a smali which converts contents to the readable bytecode and the other one is the conversion to traditional java file. We will choose the second way and use dex2jar to convert the dex (Dalvik executable) into a Java archive, as the name indicates (a Java archive is just a zip file comprising Java bytecode in .class files). Now, we have a jar and many other tools are now available to us. The next interesting tool is a decompiler which will convert the .class bytecode files into Java source code. There are numerous decompilers available having their own strengths and weaknesses that should be minor in our case. We used Jadx, but feel free to use another. We should now have easily readable most of the code for any developer “Most of the code” only as it rolls out decompilers have their limitations and are not always able to decompile every piece of code. Pokémon Go is running on the Unity app engine, which is the main dependency of it. So, when you launch the app, you will have a splash screen with the Niantic logo in order to give some time for the Unity engine to start. Then another progress bar loading display enables the engine to load all the required assets for processing further. Pokemon Go uses Protocol Buffers for communication, not XML, JSON, etc. This is trendy now a day for communication. Fortunately, getting to the resources and assets is going to be much easier than the source code. Despite, assets are unused during the developing phase and packaged as-is in the app. Although every asset in Pokémon Go is designed for Unity, so we will not discuss with these for the time being. But dissimilar assets, resources are influenced by the developing phase (particularly, by apt, the Android Asset Packaging Tool, which, despite its name, operates on resources and not assets). Remarkably, XML designs (and the Manifest for that matter) are switched to a binary XML format where a person is unable to edit or read. Also, 9-patches are converted and lose the columns and rows indicating their properties of scaling. The Another tool (aptly named APKtool) facilitates you to revert these transformations which sound good for developers. An option of decode (APKtool d) uses an APK and gives you an almost working Android project (with Manifest and resources in an easily readable format). APKtool transforms the classes.dex into small files, when Java classes is required due to this reason we did not use it earlier. Now we can include the decompiled Manifest, decompiled resources, and the assets in our project, and, since we cleaned up our Java code earlier, we have now caught everything we need for a fully functional Android project. In the end, despite its length, this is a fairly basic analysis, only using off-the-shelf, accessible tools. Yet few game-breaking secrets are not revealed, published cheats or hacks, or given any unfair advantage over their competition to readers. But, if you are an app developer, you have to realize that this would be possible for dedicated attackers if you do not take steps to actively restrict such attacks. The source of the back-end: This should be obvious, but this is especially important here where a lot of people would be interested in learning about the algorithms that decide, for example, what Pokémons spawn where. But servers made this is a decision made. We can only learn how to communicate with these servers, not how they behave internally. Apple’s WWDC (World Wide Developer’s Conference) was held on June 13-17. Each year, over 5,000 iOS developers from around the world gather to learn more about the new releases in iOS, OS X, watchOS, and tvOS. Earlier this week, Apple officially kicked off their annual WWDC event in San Francisco. WWDC was like Christmas for Apple developers. As always, the event began with a keynote during which Apple announced updates for their iOS, OS X, watchOS, and tvOS platforms. Everything you love is now even better with iOS 10. Express yourself in bold new ways in Messages. Find your route with beautifully redesigned Maps. Relive memories like never before in Photos. Use the power of Siri in more apps than ever. Now there is the ability to integrate with Siri. If an app falls into one of the above listed domains, we should provide an Intents Extension point within an app. Siri deals with all of the nuances of language processing and semantic analysis, and translates the user’s request into an actionable item that we handle in our Intents Extension. In the keynote, Apple demonstrated a ton of cool new features like link/media unfurling, reactions, message bubble effects. With the new Message framework, it creates extensions that let users send text, stickers, media, files and most intriguing: interactive messages. The simplest type of extension is sticker packs. The APIs allow to create an entire experience right within the Messages app, even provide a custom user interface! A new User Notifications UI framework has been introduced that allows developers to create rich notifications which was never possible before. For example, notifications can now have embedded media much like the stock Messages app. This is achieved through a new extension that is invoked when a notification is received and looks to be extremely powerful. 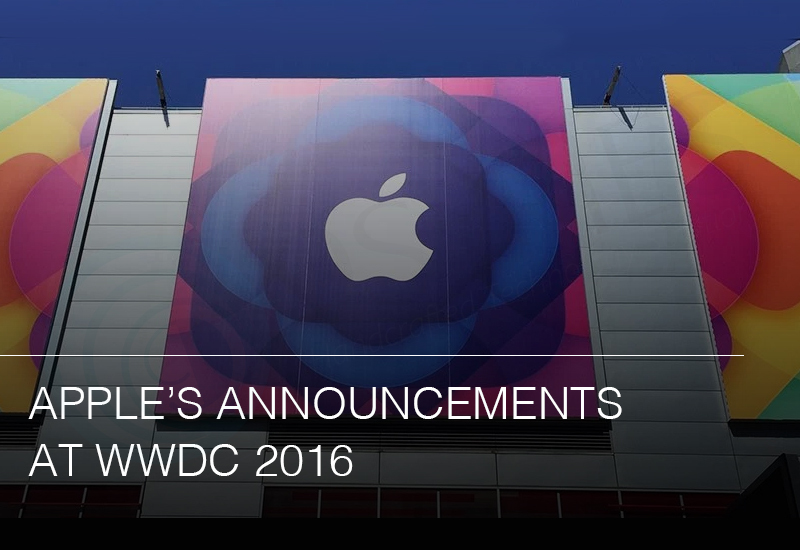 Apple's war for encryption continued at the 2016 WWDC event in San Francisco. Apple announced that it will require all iOS apps to use HTTPS connections by January 1, 2017. Apple will require all apps to enforce ATS, which will force the connections to HTTPS instead of HTTP. HTTPS is simply the secure version of HTTP (Hypertext Transfer Protocol), the protocol for data communication online. 1. Apple will require all iOS apps using HTTPS connections before 2017, increasing security and privacy for mobile users. 2. The requirement comes through an enabling of ATS (App Transport Security), an iOS 9 feature that is currently not mandatory. The important announcement of this year's WWDC keynote was, without a doubt, the introduction of Swift 3. The change from this year will have the biggest impact on developers due to the release of Swift 3 in late 2016, since it will require us to all make some major changes to our Swift code. Swift 3 is conveniently packaged with Xcode 8, side-by-side with Swift 2.3. One of the biggest changes coming with Swift 3 is that, Swift 3 version is much more concise, and makes use of an enum to make it more “swifty”. The goal is to reduce verbosity in naming to make expressive code. In the long run it will make the language cleaner and more approachable for new developers. Learn serious code on your iPad. In a seriously fun way. It wouldn’t be WWDC without an update to Xcode! 1. Memory Debugger: This is a built-in tool that lets view the entire memory object graph of running application, so you can quickly isolate leaks and circular references. Even more, the new memory debugger can automatically detect memory leaks and help to quickly diagnose the problem. 2. Interface Builder Improvement: Have you ever tried zooming out in Interface Builder, then tried to drag in a button, and realized that you couldn’t unless you were at 100% zoom level? Interface Builder in Xcode 8 now allows to edit scenes at any zoom level. 3. Source Code Editing: Create own Source Code Editor Extensions to customize the coding experience. There is a new Xcode template to get started with, and when you’re finished, can distribute extensions via the Mac App Store or as a Developer ID signed binary through any other medium. 4. Performance Improvement:Apple claims that Xcode 8 is radically faster in several categories – for example Indexing Tests can be up to 50 times faster. What can your Mac do now? Just ask. Goodbye, OS X. Hello, MacOS. After 15 years, OS X has been renamed to MacOS to better align with the other three platform names. The latest version of MacOS is MacOS Sierra. MacOS Sierra helps to rediscover best photos, shop more securely online, and work more seamlessly between devices. Siri makes its debut on Mac, with new capabilities designed just for the desktop. The handy features of Siri on iOS are now on Mac, along with brand-new ways to help with the things you do every day on your desktop. Just like you, Siri can do great new things on a Mac. Ask Siri to do its thing while you do yours. Let Siri locate your files for you. Keep Siri results where you can always find them. The web, now accepting the easiest and safest way to pay. This is huge for any developers working on a website with eCommerce. Apple has announced an entirely new file system! The current file system used by default, is HFS+ which was released in 1998 when floppy disks were still a thing. Today, most – I am looking at you base model iMac with your 5400RPM HDD – new systems include fast Flash based SSDs. The Apple File System was designed with Flash/SSD in mind and built with native encryption. Cloning provides the ability to create instant “copies” of files and directories that cost nothing in disk space. Due to the copy-on-write behavior the cloned files and directories are not actually copied unless modifications are made. The snapshotting ability allows the system to create a read-only instance of the data so that it can be efficiently restored to a given point in time. Rediscover memories in beautiful new ways. Copy on one device. Paste on another. Your Desktop and Documents folder. Accessible on all your devices. When you need more space, let your Mac find it for you. Feels like a whole new watch. It’s a common opinion that the Apple Watch platform has been a bit of a flop with regard to app development. It has been missing something since the beginning: speed. Launching apps on the watch is simply painful. In this keynote, the main focus was making apps launch instantly. The big things behind the speed enhancements of the watch is the introduction of Snapshots, the Dock, and Background Tasks. The three of these combined allow watch apps to stay up to date and available to the user at a moment’s notice. You can now utilize both SceneKit and SpriteKit in the watch apps. At first mention it looks like just for games, but Apple explained another use case: creating nice custom animations for regular apps as well. The current limitations of UIKit on the watch prevent developers from creating custom animations. But with watchOS 3, you can add live 3D rendered content to an apps using .scn files bundled with resources, or can opt to create interactive 2D animations with bundled .sks files. Business travelers in emergencies will be able use the SOS feature to connect to 911 and get notifications and GPS coordinates sent to their emergency contacts. It works in different countries as well, so you don't have to remember different emergency numbers. The updates to the tvOS SDK seem pretty light. There is a new concept of single sign-on for TV providers so that users can authenticate with their provider once and be logged in to all supported video channel apps. So if developing an apps need this level of authentication, please check out the Video Subscriber Account framework! It's never been a better time to be or become a iOS developer. We haven’t had a chance to look through everything yet, so feel free to post any of your own thoughts, or anything we may have missed! In the meantime, we’ll be working on making a demo about the new release. Stay tuned! Thanks for your time reading this article. When people think about setting up a great website, they often imagine a modern and appealing design with a professional layout. But while looks are definitely important for a website, it’s crucial not to neglect another significant element – the website’s usability. As the visitor is the only one who clicks around and hence makes all the decisions, a user-centric design has become a standard approach for efficient and conversion-oriented web design. After all, if visitors can’t use a feature, it might not exist well. Web site usability is very important for any website. Clients should have quick, easy and friendly access through the website. This is important in ensuring that your customers remain loyal without finding alternative sources. To achieve the above, these factors should be taken into consideration while designing your website. Internet users "read" web pages like they read a book, starting from the top left and move to the right, and then gradually make their way down to the page. Content that is near the bottom of the page is far less likely to be read by a user than the content at the top. Put all relevant content "above the fold" and put the most relevant content at the very top of the web page is a sign of perfect web site. Many users like to browse pages on a website before eventually deciding to contact or take further action. A website should be designed in such a way that users never get lost. By adding the same navigational tools on each page, in the similar place, give your users a "map" in the event if they get lost. Various websites put these navigation links on the left side of every page, or at the top of each page, however, it’s depends on creative thoughts and it’s implementation for navigation. 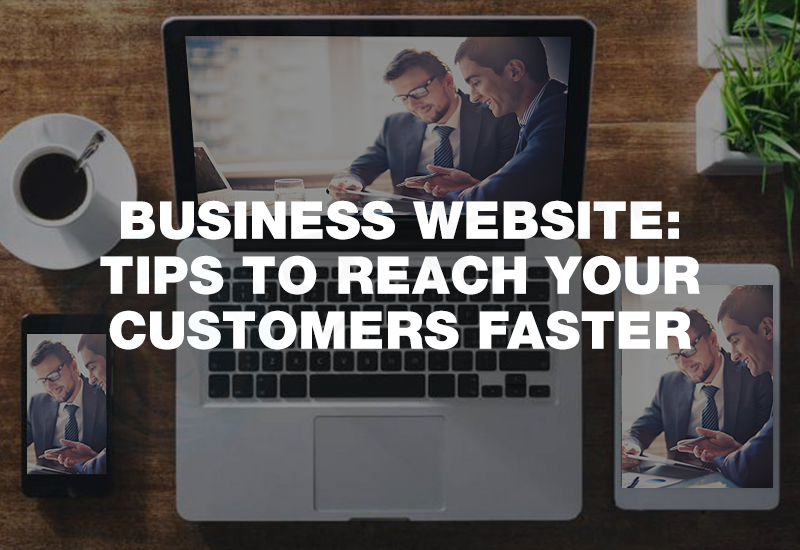 After creating a highly effective website, complemented by great marketing and search engine optimization, be sure that every opportunity is given to potential clients to contact you. Again, every potential client is different. Some people prefer to contact via email, while others will use the phone. And there are probably some who will simply show up at your front door. Due to this reason, contact number, email, and address prominently on website should be included. Even create an inquiry form which collects basic information about a potential client. Not to forget, live chat is trending nowadays. If having a website that has a lot of different pages, it is always better to add search functionality on each page. Everyone's different: some people prefer a search engine while others like to use links to find what they're looking for. By giving different users different methods of searching that makes everyone happy! Develop a website that reflects the style of the firm and clients as well. A website should be an extension of overall corporate identity - down to the colors, messaging, logos, etc. Images on the website, can create a more personal experience for the user. Make sure that images don't significantly slow down the website. The best way to determine whether website serves its intended purposes is to ask intended audience. If you want to impress business professionals with website, assemble a group of the people and ask to rate the website. Did they find it easy to access? What additional content would like to see? Would they consider retaining website based on the information provided? The regular usability analysis will help to recognize the areas where a website needs improvements in user experience. In fact, outside help is often doubly important for usability. Because the expert will give a fresh perspective on your Web design, content, friendly accessible or not and all such advice will guide to make website “A Perfect Website”. We bring out the best in our people, which in turn will give out the best in our products and services translating into long-lasting bonding with our clients. Feel free to contact us for more details. 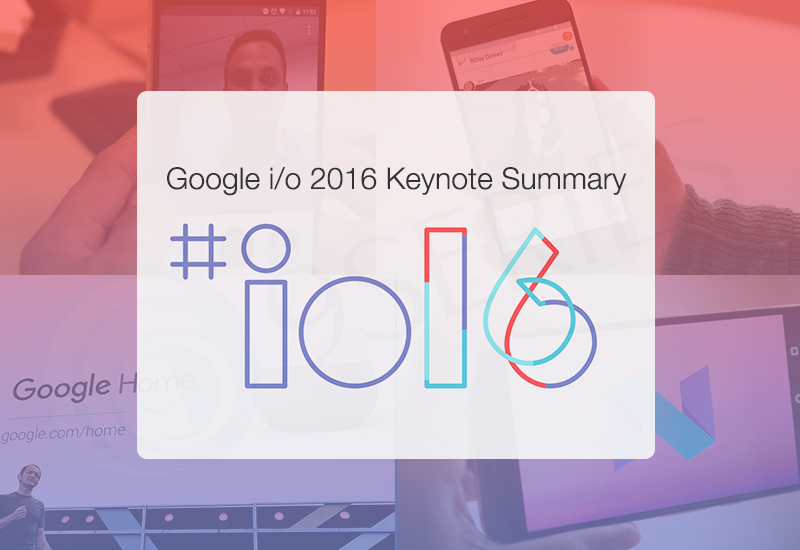 The Google IO 2016 wrapped up with a ton of huge announcements nestled within it. Here are the latest highlights, announced at Google I/O 2016. Thus, far that range from the fresh version of Android N to new features for Android TV, Google Home virtual assistant to the Daydream VR ecosystem. The announcement of Android Instant Apps, where apps can be used on Android devices without installation. These apps will be accessible from deep links in search, messaging, social media, and other locations. Some major announcements for Chrome OS at Google I/O 2016, including Android app support on the platform. Chrome OS will be accessible to the Google Play app and content store. At Google I/O 2016, the search giant revealed it's Amazon Echo-competitor - Google Home. The voice-activated speaker is managed by Google Assistant, Google ecosystem-wide expansion of its Google Now voice-based virtual assistant. The company at Google I/O 2016 disclose two new apps for iOS and Android which will be released in the coming months. Allo is an instant messaging app which offers the Smart Reply feature, and Google Assistant-powered suggestions and cards. Duo, a video calling app, an end-to-end encrypted. The modern version of Android is yet unnamed, for which Google wants help to get it a name. The company has created a site where users can provide suggestions - any word initiating with 'N' will do. At Google I/O 2016, the search giant came up with - Developer Preview 3, updated developer preview of Android N and detailed its new features. The Mountain View firm also announce some upcoming features. A Much more ambitious version of Google Cardboard, new Daydream VR platform unveiled at Google I/O, providing a reference headset and controller for OEMs while also providing a software framework. At I/O 2016, Google also had announcements for fresh features in Android TV, latest functionality in Android Auto, Android Pay’s augmentation plans, as well as several statistics about Android users. In early stages of technological boom marketing automation systems were preserve of only deep pocket companies. The technology obliged to build the automation system required a substantial amount of investment. Time bound the cost of developing the system surpassed the cost-saving. 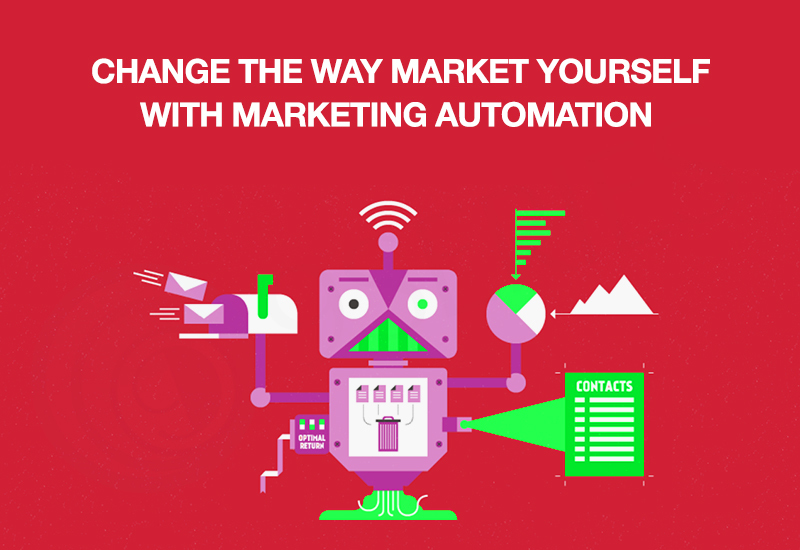 A sound marketing automation solution will enable you to concentrate on your customers, understand the efficiency of marketing programs, and boost buyers through the sales funnel. With fewer efforts and lower cost. Credit goes to the proliferation of software vendors, sophisticated marketing automation solution is now readily available to B2B and B2C companies both small and large scale. However, B2B business are taking a huge advantage of these marketing automation by integrating existing CRM(Customer Relationship Management) System. Importantly this enables combine and streamlines sales and marketing programs to create better vision for both the teams. Marketing automation software sends regular, scheduled campaign to the subscribers at chosen time. But, with Workflow Automation, you shoot emails to specific audience as per desired sending criteria. Save time – Schedule multiple campaign at time and throw it as per your own requirement, so that, working hours can be optimized for other important activities. Efficiency – It let you streamline automation of process. Reduces time, labour, and cost too. CRM integration – WIth integration of CRM you can make sure that potential leads don’t get lost off the radar even after few unsuccessful contacts. Consistency – Combining all your marketing efforts in one process can help you to keep a unified brand voice tone. Personalisation – Tailored experience to the user can be given with the help of marketing automation, generating a unique and lucrative experience which is entirely relevant and likely lead to conversation. Social media is the biggest aid towards the democratization of marketing automation than any other. It is no more just postal services, ad retargeting and email marketing which can be used to broadcast messages to clients or stakeholders, social media channels like Facebook, Twitter, and LinkedIn have become influential marketing channels, with a more customer utilizing the channels not only for receiving conveyed message but, also to communicate with your brand directly too. Most of the successful businesses are using these channels to engage directly in the real-time with their customers, successful Social Media engagement requires great time, resources, skills, and energy. In short time span, a world of marketing has changed dramatically. Enlarged access to information enables buyers to proactively uncover content or products, seek social referrals, search online, read reviews, and investigate into expert reports before ever talking to you. A few years back, CRM Systems was thought to be on the decline. 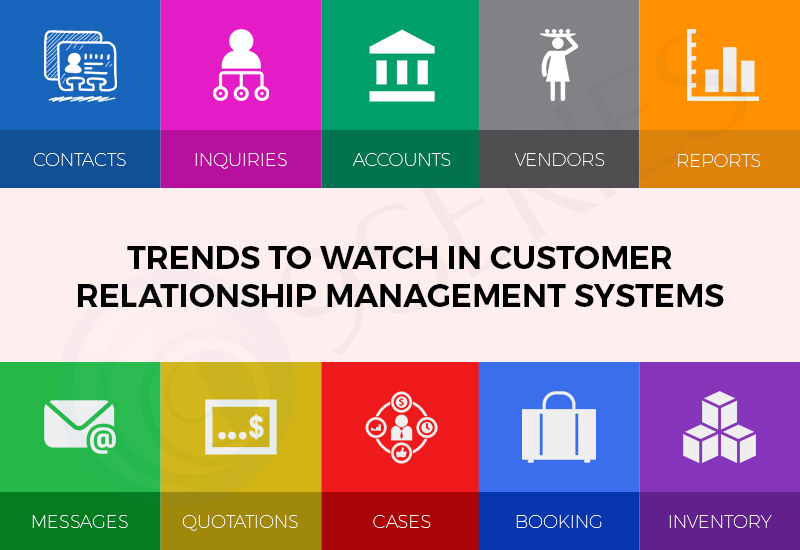 But fresh trends mean it isn't over yet for Customer Relationship Management software. 9series presents a timeline, how CRM has evolved over the decades. The term became familiar in the early 90s when it began and used to named as front-office applications. Several personalities and organization were credited with neologizing the term, incorporating John Anton, Tom Siebel, and Gartner Inc.
Antecedent to the 90s, database marketing was popular to gain insight into consumer behavior with the help of statistical analysis. The late 80s observed the introduction of PC-based contact management system. This system eventually evolved into sales force automation (SFA). For years, the CRM development relied profoundly on technology and software developments. Oracle, Siebel, and SAP became the pioneers in the industry. E-CRM vendors like Broadbase, Kana, and e.piphany appeared a few years later, as the Internet gained ground. With the entrance of social media and open source software, CRM has endured developments and transformations geared toward a paradigm shift. And despite many impediments, the field remains full of opportunities for both businesses and customers. Social media networks are constantly changing user as well as customer experience and evolving to answer customers' ever changing demands. Consumers now have the mechanisms to express their opinions on everything, anytime-anywhere across the globe. This has changed the role of customer feedbacks, and made it much more prominent; in the end, customer feedback over social media has been known to make or break businesses. As a result, marketers are increasingly growing aware of the potential of social media as a method for engaging existing and potential patrons. Mobility is also creating marketing and technology trends thanks to the emergence of smartphones and tablet PCs. This has changed the importance of Customer Feedback and made it every essential; Customer Feedback is known to be a game changer over social media. It will make or break businesses. Business Entities are increasingly getting conscious of the power of Social Media as a proven method of engaging current and potential customers. Cloud computing continues to rise, and CRM has not been left behind in this area. Cloud-based CRM software is a cost-efficient means of accumulating customer data. Unlike before, on-field resources no longer need to search for leads to input into a system for scheduled sales calls; sources of client data are already available. Cloud-based CRM systems will gain momentum as cloud-based applications continue to advance. In 2008, Comcast was the pioneer company which first took to Twitter to interact with customers, proving the power of social CRM. Social media marketing persists in an uptrend and businesses are paying attention. Customers are empowered by social media sites to influence products or brand image and perceptions. Negative feedbacks no longer limit to a call to customer service; businesses can expect those feedbacks to reach potential customers before they do. Software Vendors are now acknowledging to social CRM needs. SEO and gamification are gaining traction as marketing tactics, keeping consumers engaged with the brand and company. Chief Economist of Google, Hal Varian once said that "Datarati are organizations that have the edge in consumer data insight." CRM trends(dot)com states that CRM systems will continue to strive to understand consumers through comprehensive data collection and analytics. Pamela O’Hara, president of Batchbook also notes that by centralizing data through CRM software, businesses will be able to engage and target customers more effectively. CRM data will not end with producing leads for the sales department but will be a continuing process that and also includes sustaining relationships with a growing customer base. William Band, Forrester vice president, and analyst observe how mobility has transformed into a crucial corporate component. Customers are no longer restricted to PCs and they are constantly accessing information on the go. Core Salesforce and customer service resources will be empowered by mobile devices for support. On the other hand, customer perception will also be shaped by real-world involvement along with online and mobile experiences. Flexibility for a CRM users is key because it enables a user to customize the software to meet their requirements. The efficiency of assimilation and multichannel publishing are fundamental corporate considerations. A flexible and convenient CRM platform are becoming more important for users. Businesses looking to secure the power of customer relationships should pursue tactics that are most in line with the type of consumers they have and type they want to gain. We at 9series have the expertise to deliver need based and industry-specific CRM solution that enables a business to customize software according to user need. 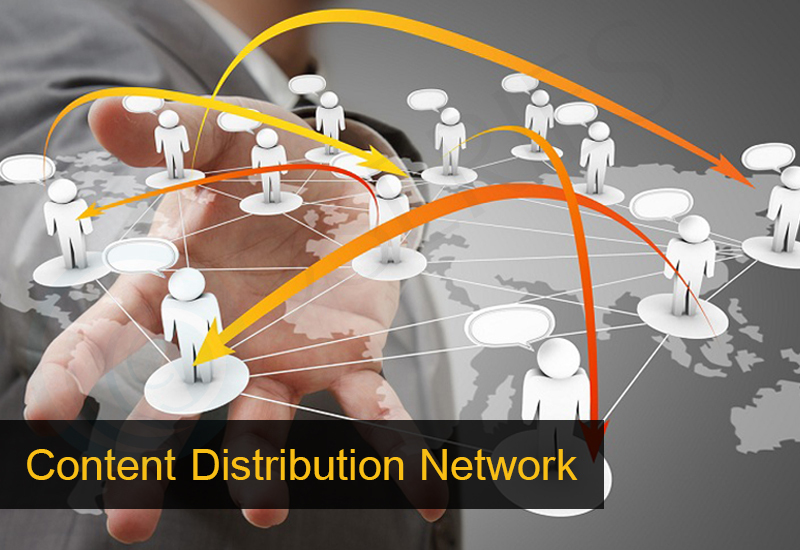 What is Content Distribution Network (CDN)? A content distribution network—also known as a content delivery network—is a large, globally distributed network of specialized servers that accelerate the delivery of web content and rich media to internet-linked devices. The primary technique that a CDN (content distribution network) utilizes to speed the delivery of web content to end users is edge caching that entails storing replicas of image, static text, audio, and video content on multiple servers around the "edges" of the internet, so that user requests can be followed by a nearby edge server rather than by a far-off origin server. To accelerate the delivery of dynamically generated Mobile web development content that's difficult or impossible to cache, an advanced content distribution network uses a range of techniques such as route optimization, TCP connection optimization, and pre-fetching. CDN improves the security, performance and reliability of a website. To reduce the distance between website's server and the visitors, a CDN saves a cached version of its content in multiple geographical areas (points of presence, or PoPs). Every PoP contains a plenty of caching servers responsible for content distribution to visitors within its proximity. In essence, CDN puts content in many places at once, rendering superior coverage to users. For instance, when someone in London accesses a US-hosted website, it is done through a local UK PoP. This is much faster than having the visitor's requests, and responses, travel the full breadth of the Atlantic and back. This is how a CDN works in a nutshell. For users: Users of websites and web applications delivered through a CDN experience faster page loads and quick transactions than they would in the absence of the CDN. For content owners: For content and application owners such as e-commerce sites, media properties, and cloud computing companies, using a content distribution network to advance end users' experience can lower abandonment rates, improve conversion rates, increase ad impressions, and strengthen customer loyalty. Practicing a CDN can also make an important contribution to web security, for example by helping to absorb and relieve a denial of service attack. For network service providers: With the bursting growth of online streaming and other rich media services and higher user expectations about web performance over multiple device types, today's network service providers are finding it essential to deploy their own content distribution networks. For network operators, deploying a CDN can lessen subscriber churn, facilitate the development of value-added services, decrease traffic on the core network, and facilitate operators to sell CDN services to enterprises and third-party content owners. Today, business are dealing overseas and serving global clients. Depending on the region and hosted server content may take time in loading. CDN is one of the advanced technique which helps websites to deliver content faster. It’s also important to keep it mind while going for Mobile web development that your website should load content fast enough to hold your visitor on a website and decrease the bounce rate. Website loader is one the option to work on during Mobile Web development process to avoid slow content loading problem. Due to increase in a number of devices, data networks, and digital applications also increases the opportunities for exploitation. Apart from providing immediate access to all the information that is required, the internet has expanded their connectivity with suppliers, customers, and other business associates. The utilization of social media for connecting with partners and customers has motivated companies to officially support their marketing personnel to leverage these tools. But these apps have become a serious matter for organizations as they are now finding it tricky to prevent employees from sharing videos, photos and other personal files over these platforms. This is not only proving to be a big distraction but, also negatively impact the performance of business-critical apps. Several network managers also have security concerns regarding the leakage of sensitive data through social media. The young employees commonly use online gaming and streaming media sites like YouTube or other popular social media sites, and peer-to-peer (P2P) apps for sharing and downloading big sized files. Networks get burst with a wide range of recreational internet apps which can steal bandwidth from business critical apps, leading to slow response times and lost productivity. Many companies permit the use of such video streaming sites as they serve as efficient no-cost marketing and promotional platforms. This makes it that much more complex for organizations together blocks access to these applications. 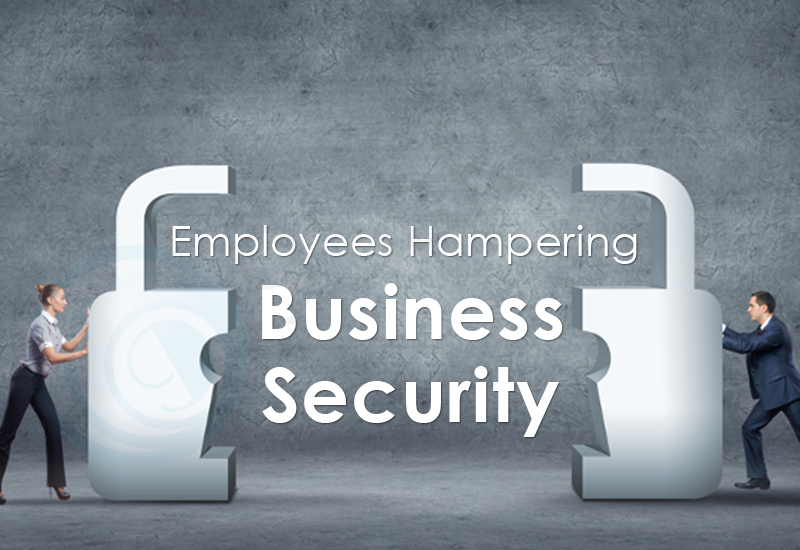 Inside attacks might begin from careless or disgruntled employees who unintentionally create situations which lead to serious damage to the organization. In fact, employees those who have the knowledge and access to admin accounts, networks, and data centers can prove to be more damaging than strangers. Careless workers who don’t secure their devices properly may be likely to attacks. Apart from monitoring networks, it is becoming increasingly essential for organizations to train their employees on best security practices. Therefore, it is necessary to monitor system, technical or policy-based, to know who is using the data, how it is being used, and whether an unauthorized person is viewing classified data. An unmanaged network access has the potential to unfavorably affect employee productivity and expose the organization to a number of new risks. 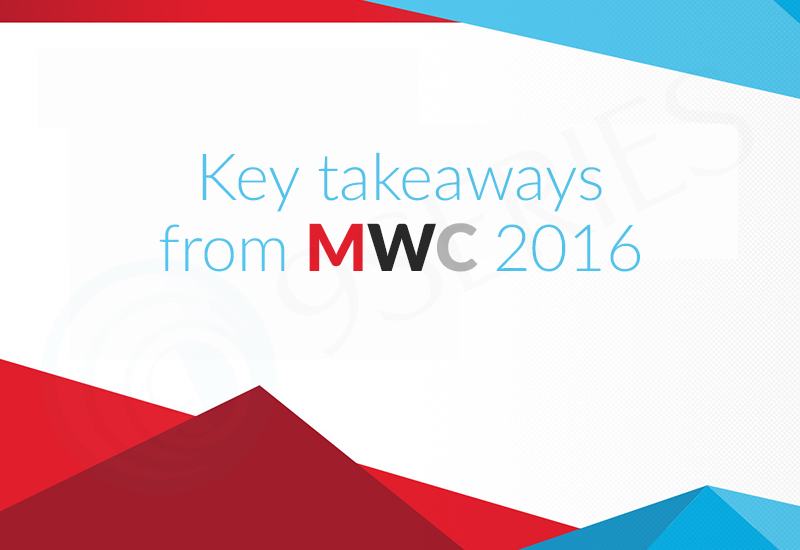 Mobile World Congress 2016- the largest mobile trade show of the year held in Barcelona, the European showcase for Everything of Mobile, hybrid laptops and bunch of future technologies. It kicked off with two major flagship smartphones launch: LG's G5 and Samsung's Galaxy S7. Mobile is Everything was the theme of 2016's event and nothing could be truer; everywhere and anywhere your eyes reach, everything was MOBILE. Virtual Reality: The 1st day was of VR. Samsung revealed Gear VR headsets whereas HTC disclosed launch dates and pricing for the Vive, Mark Zuckerberg made an appearance at the launching event of Samsung and proclaimed a new Facebook team responsible for developing social applications compatible with VR handsets. The next generation 5G: World is getting ready for the supersonic speed of the internet. Race of Telecom giants is on. Will it be AT&T or SK or any other European service provider? Connected everything: 5G networks also hold the key to the success of the IoT dream. In addition to being faster, 5G networks will also theoretically be able to handle millions of connections. Addition to this, the Ford Smart Mobility plan will enlarge as the company transitions to an auto and a mobility company. Auto Pilot Cars: Self-driving cars are great things. Tesla, Uber, Ford, Google and all carmakers are concentrating in this field. People will either download movies on 5G or experience Facebook VR while they are driven in self-driving cars. Automakers were here to highlight their work to connect cars to information technology. Ford introduced its latest Kuga SUV that wrapped with updated technology, such as enhanced commands over voice and easily accessible applications. Wearable devices: It was one of the trending topics of this year. There was few wearables’ launch this year at MWC. Analysts say that the wearables market will lead through many variations over the coming years. It exhibits that industry focuses on strengthening and stabilising present lines. Delivery Bots: Starship Technologies' offers robot that can locate house from the supermarket. The six-wheeled robots will carry groceries bags. It has nine cameras which help in avoiding barriers and seeks remote navigation in case of trouble. Trashcans got smarter: Continuing the series of the smart launch at MWC 2016, it gave birth to Smart Trash Cans. Smart Homes, Smart Shoes, Smart Clothing, Smart Weighing Scales, Smart Luggage Tags, etc. Sigfox’s Smart Trash Can idea is now being executed by Barcelona city. It will connect 200 trash cans which use the low-power wireless network of Sigfox to report when they're getting full, it means, less time - fewer resources and cleaner city. This is all from the largest mobile event of the year. Keep Calm and Future is here. The world is moving quickly when it comes to technological headway. In this article, we will be talking about Business Technologies for SMEs and New Startups. The year 2015 was all about Social Media as well as Smartphone Generation. But, 2016 won’t be same. 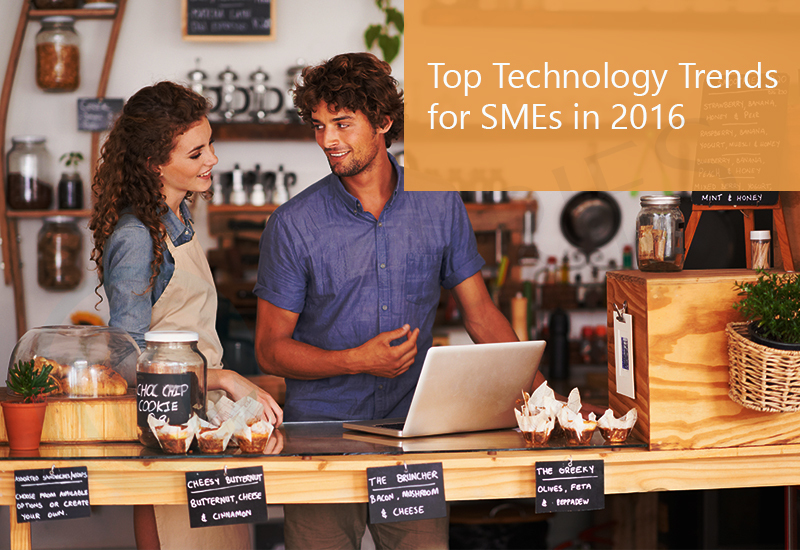 In this year, we will be able to see the following trends for SMEs and Startups. The smartphone industry is on a boom, and it is resulting into more smart customers who have access to the world on their fingertips. The statistics [statista] shows that in the USA, a smartphone mobile user is spending 1.8-hour average. New startups and SMEs are considering this data as a significant game changer. Switching to a Device Adaptive or Responsive website development for business is one of a good strategy that helps small business to reach more dormant customers worldwide. 86% of tablet user and 72% of smartphone user research a business product using their devices, this figures clearly shows that in near future a responsive (device adaptive) business website will be considered as a Business Necessity. Undoubtedly, 2015 has been a tremendous year for mobile, we have seen the considerable evolution of the smartphone by giants like iOS 9, Window 10, Android 5.1. Mobile has increasingly become an essential part of people's daily lives than ever before, and being in the tech industry, we can say that a business brand needs to be where its patrons are. However, existing businesses have already started adopting a smart move by developing a business mobile application to keep a hold on their buyers, specifically B2C business. A mobile application is not just helping a business by improving brand value, but a well-developed mobile application can back marketing and business strategies with lots of data insights. - Smart Insights study found that in the USA, mobile digital media time is now significantly higher (51%) than desktop (42%). - Pew Internet Project says, almost two-thirds (64%) of Americans own a smartphone and 46% say they can’t live without their phone [Study by- Pew Research Center]. The Smartphone is now the inherent part of daily life and because of this, users have started obliging more with mobile application and websites. The tech industry is driving the centers on generating more personal engagement with customers. In 2016, emerging brands have to engage and interact with users on their terms. Context sensitivity will be a driving force in 2016. The Mobile Payment Technology is here to stay. This is not just because of merchants who accept cards and digital payments through mobile devices, but buyers are increasingly welcoming the idea of smartphone payment. The mobile payment adoption will continue to rise as it is quite easy to sign up for a smartphone payment account and accepting payment instantly. NFC will be a driving factor due to its low-cost adoption. However, security concerns will be on priority. Though CRM is not a new term for the marketers, but in 2016, the CRM system is more likely to take place in many businesses. CRM is not just a software for managing the customer data, it's a system that produces significant insights about customers' journey state, buying patterns, decision-making process, and other pertinent data that is vital for sales & marketing as well as business intelligence. CRM systems will continue to evolve for upcoming years as companies will make long-term investments in customer care. Now, the CRMs will be designed smartly as per the business needs to guide the team to the next level. Enterprise Resource Planning or ERP is around us for quite some time. Many businesses have succeeded in without ERP system. However, we are talking about trends for small businesses it can be clearly seen that SMEs are focussing on ERPs which can fulfil their custom need, more companies are likely to adopt ERPs which can ease their overall business processes and show the statistics on finger tips. The complete ERP solution needs deep pockets, as a result light ERP or requirement based ERP will be trending in the near future. After all, it’s all about growing business. Being an ERP solutions provider, we have observed that businesses are more likely to acquire a solution which helps in Business Process Management, Resource Management (including Human Resource), Inventory Management, Accounting and so on. Employees are key assets of any organisation. As technology is advancing, companies are giving wings to employees. Mobile Technology is helping to work smarter, better, and faster along with improving the productivity of Mobile Employees, Streamline Field Operations and Dispatch, Increase management insight, and Optimize business operations. Marketing departments of an organisation are forced to be ahead of competition every day. With the help of software or a platform specially designed for marketing an organisation will be able to market more effectively with multiple channels online (Emails, websites, social media etc.) and schedule repetitive tasks. This will drive the change of Digital marketing. Back office automation is one of the trends already with us for quite some time. Companies have realised that human repetitive errors in a particular task and process at the core of the business can damage the reputation as well as profits of an organisation. Also, companies have identified that applying manual efforts are very costly and poor use of human resources. This is resulting into Business Process Automation that reduces the cost, less time investment, improved efficiency, better customer services etc. Like Business Process Automation, Testing Automation is one of the trending automation in IT industry. Testing Automation is a process where a software, application or relation projects are tested with predicted outcomes and flow. This automation system helps in quick problem detection, test data creation, GUI interaction, defect logging and so on. Similar to other automation testing automation save tons of time in problem identifications that lead a business to quick solutions. Data protection is and will always be the first and most prior concern of any organization while going for technology advancement. Cybercrimes become easier and lucrative moreover, it’s becoming professional. This major concern will lead a business to invest more on cyber security. A few years back, Wearable was totally unknown for many (we could say almost everyone). Fast-forward to 2014-15 and wearable technology is all around. The wearable tech is something new to the world and it is in the initial stage of evolution, that means there are lots of new opportunities are laying with that. With the evolution of mobile, wearable technology will evolve simultaneously and the need of the compatible applications that connects mobile and wearables, will be in demand. We are into the IT industry for more than 8 years now, being a SMEs friendly Technology solutions provider, we are very well versed with the problems and best solutions that can be used to resolve it. Feel Free to contact us.